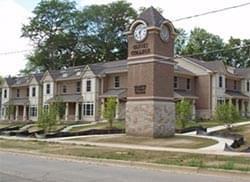 All-Pro Mechanical is proud to serve the Olivet community! About Olivet, MI - Happy to be your hometown Heating & Air Conditioning Contractor! Olivet is a small town located in Eaton County, Michigan, and it is home to approximately 1,600 residents. This town is also small geographically with only 1.02 square miles of total area, all of which consists of land. Olivet College is located in this town, and it is a small, liberal arts school that is affiliated with the United Church of Christ. The climate for this region of the state is a typical Midwestern, humid continental zone with cold winters that feature significant snowfall. Summer months are often humid and quite warm.